The good news is that Batgirl has found the person responsible for killing several freelance techies and framing other people for the murders. The bad news is that the guilty party is an aspiring super-villain called The Velvet Tiger. 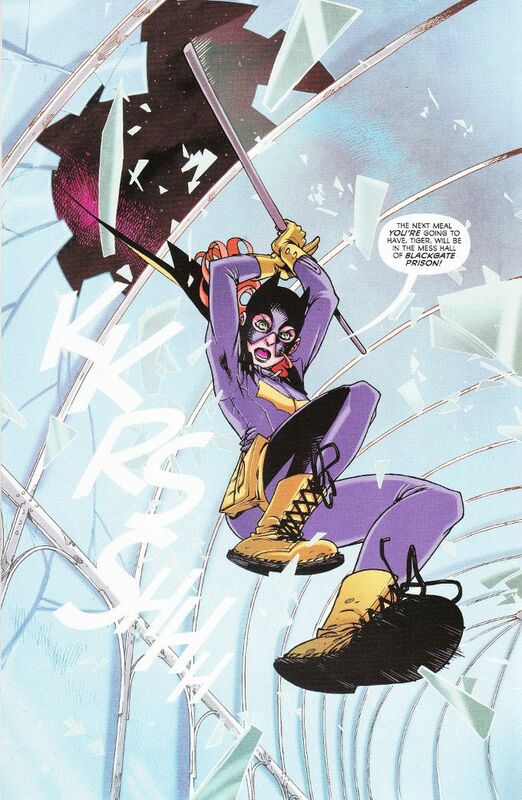 And she's just as tech-savvy as Babs and armed with the tools needed to neutralize all of Batgirl's wonderful toys! Brendan Fletcher and Cameron Stewart are to be commended for trying to expand Batgirl's rogues gallery as much as they've expanded her supporting cast of friends. A hero needs good villains to be effective and the revamped Velvet Tiger is shaping up to be a worthy arch-enemy for Batgirl. Ignoring the animal motifs, VT is just as smart as Babs and a dark mirror of what an evil Barbara Gordon might be like. Hopefully she'll be back for more fun in the future. 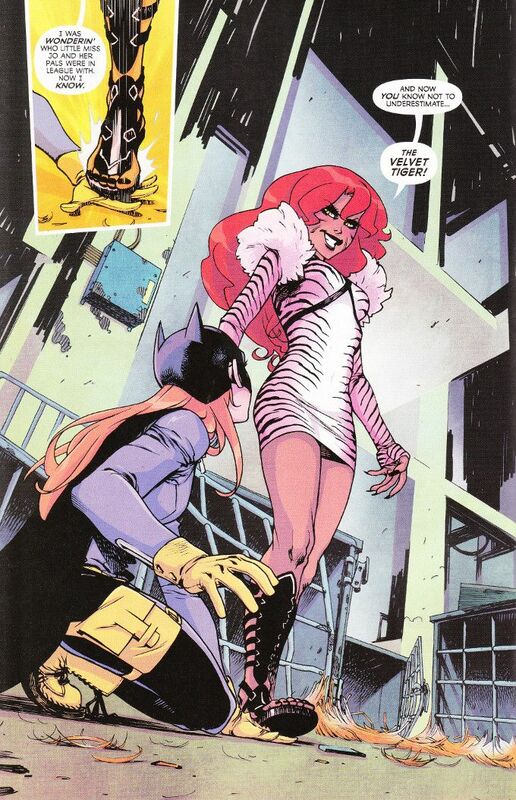 Am I the only one amused that Bengal is the guest artist on the same issue of Batgirl that introduces a tiger-themed villain? Probably so. But Bengal proves a worthy substitute for regular artist Babs Tarr and the artwork for this issue looks amazing.